Village maiden Trilla has been accepted into training by the illustrious Sisterhood of Zerr. She is well on her way to becoming a priestess when a chance encounter with a handsome blacksmith tempts her to break her vows. Soon she is stealing away for clandestine meetings under the moonlight. But she is besieged by guilt and refuses the blacksmith’s marriage proposal, choosing ambition over love. When she is sent to a distant village for her first placement in the Order, she adjusts to life in a new House only to find herself disenchanted and filled with regret. Determined to reclaim the blacksmith s love, Trilla breaks her vows again and begs him to run away and make a new life with her, in secret. But the blacksmith is now in love with another and rejects Trilla. Maddened by jealousy, she plots to destroy her rival. Instead, in a fit of despair, she tries to kill herself. But, rather than dying, she is transformed. Her mind begins to wander in a mysterious dimension of astral energy, where she can see what others can not. As her psychic skill blossoms, the Sisterhood she rejected seeks her help to battle an evil prince in a land poised between violence and peace. You can enter to win the books over on Goodreads. 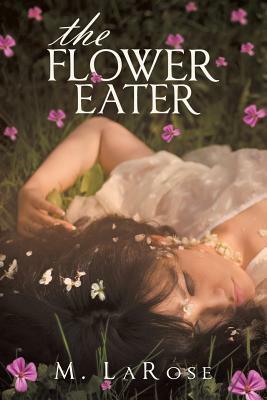 This entry was tagged M. LaRose, The Flower Eater. Bookmark the permalink.